If you have been seriously hurt in a car accident, you may be feeling at a loss. These accidents are scary and frustrating. You may be feeling every emotion, especially when your medical bills start piling up and you are too injured to go to work. These losses do not go unnoticed by our law firm. We understand that this can affect your life in a very negative way and we want to do everything in our power to get you back to your new normal by winning you the compensation that you deserve. Our New Jersey car accident lawyers at Tanya Freeman Law LLC are here to help you through this difficult situation. At our firm, we care about your wellbeing. We don’t want to see you lose out on the compensation you are entitled to. We know that the insurance companies are going to try to minimize their costs, but the lawyers at Tanya Freeman Law LLC are dedicated to not allowing that happen. If you want to pursue a car accident claim and get the award that you deserve, please call our office today to set up a free consultation. New Jersey is of the few states in the country that follow a no-fault insurance policy. That means, considering the fact that you are injured in an accident, you will have to look at your own policy first and foremost for coverage for your medical bills and lost wages as well as anything you had to pay out of your own pocket because of the crash. You might be worried now that you cannot seek any further damages, but that is not the case. In New Jersey, there is an ability to file a third-party claim against the driver who caused your accident. The at-fault driver would be responsible for paying your pain and suffering damages as well as any other non-economic losses. There are certain thresholds that you must usurp in order to file this third-party claim. 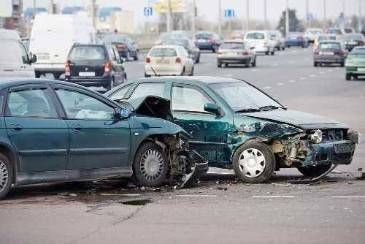 If you want a successful claim, please call our New Jersey car accident lawyers at Tanya Freeman Law LLC today to set up a free consultation. Don’t let the insurance companies hassle you and keep you from getting the compensation you deserve. Call us today!